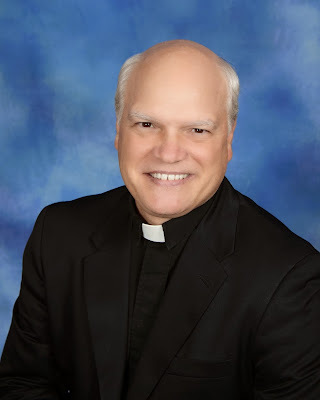 Father Eric Lofgren was appointed pastor of St. Joseph Parish in Lincoln, replacing Father Pol Gumapo, who was appointed parochial administrator of Holy Family Parish in Citrus Heights. Previously, Father Eric served as pastor of Sacred Heart Parish in Red Bluff, Sacred Heart Parish in Anderson, and of St. Francis Parish in Burney. He also served as parochial vicar of Our Lady of Mercy Parish in Redding. A native of Sacramento, Father Eric studied for the priesthood at St. Patrick’s Seminary in Menlo Park and was ordained to the priesthood in May 1993. Father Eric became pastor of Saint Joseph Parish in July of 2009. We are Nine (9) siblings. My older sister (Sr Erica Catada) embraced the religious life under the Daughters of St Mary of Leuca congregation based in Rome, Italy and is still active serving in the Switzerland area. I was inspired, fascinated about priesthood and constantly encouraged by my family to pursue my dream of becoming a priest despite of the consequences of being away from them, financial shortage (remember we’re 9 siblings) and a few discouragements. Seminary life has sown in me never-ending memories and fun which I desire to revisit routinely. I was ordained priest July 2, 2005 by Bishop Leopoldo S Tumulak DD at St Ignatius de Loyola Cathedral, patron saint of soldiers, Headquarters Camp Gen. Emilio Aguinaldo, Quezon City Philippines. In my twelve (12) years as a chaplain in the Philippine Navy, I was able to cover almost all of the Navy Bases in the Philippines. I enjoyed my ministry especially with soldiers who longed to conform their lives to God’s teachings. With my Bishop’s permission, I am on mission to serve the Diocese of Sacramento and am presently assigned at St Joseph Catholic Church in Lincoln. I am humbled to feel the warm welcome given to me as I report to this church as their new parochial vicar. I hope I am able to meet the expectations and mission of this parish. Thank you very much! (Muchas Gracias, Dios los bendiga a todos!) God bless us all!